I know you're angry that your train is late but try to put a brave face on it - or risk getting nabbed by anti-terrorist police. Canadian researchers have come up with a new type of facial recognition technology that can detect and classify human expressions. Dr Prabir Bhattacharya at Concordia University in Montreal is developing a system is to take and analyse photos of individuals in busy areas where security is a primary concern, such as an airport or train station. Bhattacharya's system measures 15 key points on the face and then compares these against images of identifiable facial expressions. Facial expressions do not actually involve the entire face, but rather specific sets of muscles near the eyes, nose and mouth. Although there is wide variety in expression across individuals and cultures, the scientist has identified seven basic expressions that seem to be relatively universal. 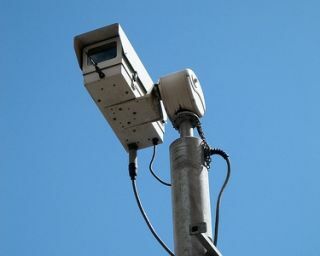 The next step is processing images fast enough to identify those individuals who might be problematic, whether that's merely being drunk, causing trouble with security staff or even being terrorists.